As we are already 6 weeks into the summer holidays this post is a little late but we've been busy with an unexpected visitor, birthdays and plently of swimming! The schools in Cyprus break up mid June and the long holiday runs until the second week of September. This September Leo will start his compulsory year of Prodimodiki (pre-primary school), he will be in the same school as the last two years although possibly in a different class as he completed one year of kindergarten there and an optional year of Prodimodiki already. 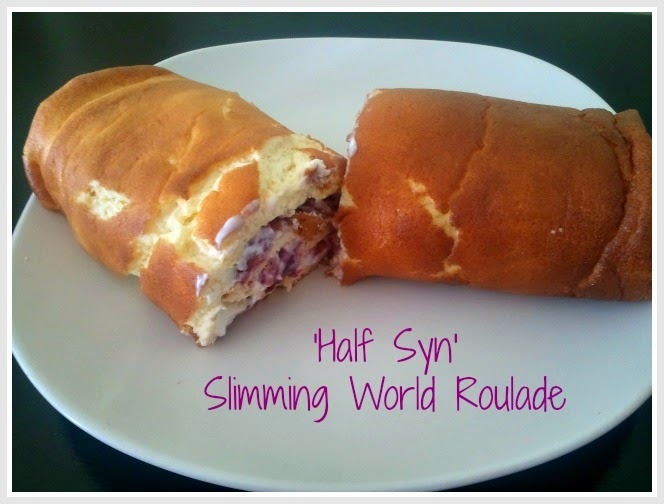 Yes, you did read that right it's a 'half a syn' cake, and not only that, its really nice! Over the years of Slimming World I've tried many different dessert recipies and I've always been hard pushed to find a good one. I find they are either not that nice, or not worth the effort or the syns but since trying this at a taster session in the group I attend I've finally found the answer! I'd put off making it for years, thinking it would be difficult but I've made it several times now and it's always turned out fine! It appears I've accidentally scared my children and given them a dislike of being messy, although you'd never believe it if you saw the state of my floor most days! Although it was never my intention, messy play has never been something that I consider fun and as I realized the boys may be starting to agree with me I decided to get over myself and re-do an activity (one that was messy, but also fairly easy to clean up!) that I first did with Leo almost three years ago. It didn't go brilliantly all those years ago but I thought it would be different this time, and it was just not at first! Cornflour and water mixed together becomes a non-newtonian liquid - in other words a liquid which acts like a solid when you hit it. 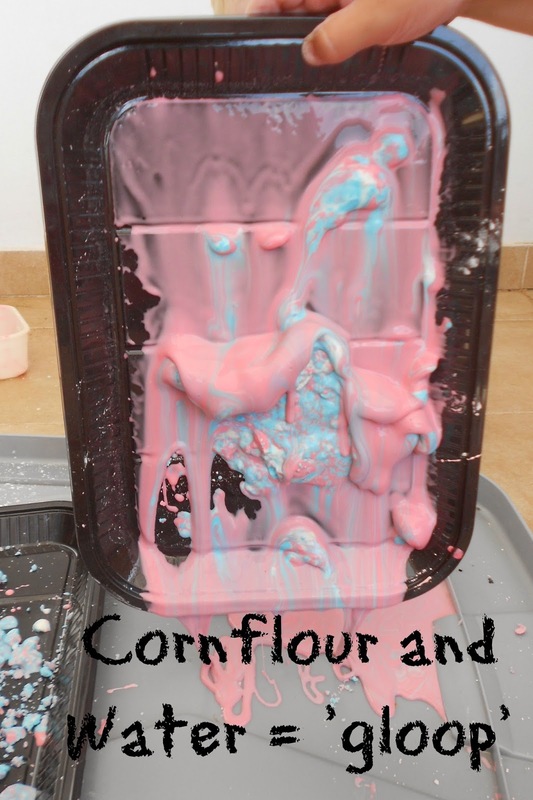 Cornflour gloop (a much better name for it when you are one or five!) is so easy to make, in fact I didn't even make it. I measured the flour into two tubs and added a little colouring to the water and handed over to the boys. Leo's party theme this year was the subject of much debate between him and I, originally going to be 'Superheroes' and then eventually (after a quick peek on pinterest!) became Lego. With a bit of teamwork going on, Aaron and I came up with a brilliant Lego Party for him and he enjoyed every second of it, playing with his friends and receiving some lovely presents. Like on the invitations Aaron made using the Lego font for his name and featuring one of his favourite superheroes, it was always going to be a winner with him. Leo is most impressed that Leo is Lego without the G! We were already fans of Personalised in Cyprus since receiving two of their products for review by the Famagusta Parents Network and it was the first place I thought of for presents from the boys and I for my Dad when Father's Day and his birthday approached. 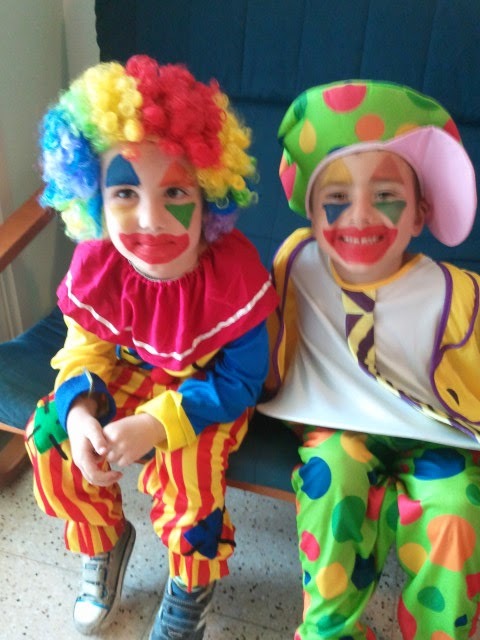 I've been a little behind on keeping this little blog of mine updated and my little man has been 5 for several weeks now without me posting his yearly interview! Its a couple of weeks old now so knowing him the answers would be different even now, in fact I did video him twice as the first one was a bit of a disaster with him not really paying attention and Louka causing even more chaos than usual. After watching the lovely calm videos from my fellow bloggers The Boy and Me, Lauren and Jenny, I did think about retrying it without Louka in the background, but then I realised it was quite a good representation of this point in time and decided to go with it! Last week I had the surprise of my life when Aaron came home late Sunday night with my friend of 33 years! I last saw her on my very short trip to England in February 2013 and the other time I went to the UK in August 2010. I constantly badger her to stay in contact via skype but hadn't thought for a second she would be able to actually come and visit, with family, work and voluntary commitments, plus the cost of flights, and the fact that she'd never traveled before, I always thought it was a far off possibility. 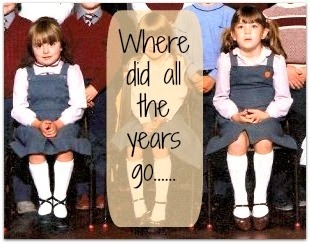 From pre-school, to primary, secondary and then (briefly) college we did it all together. There's no passports or plane tickets involved, I'm not going back to those roots but I am planning to get back to where I started back in the blog world and revitalize this poor neglected blog of mine! 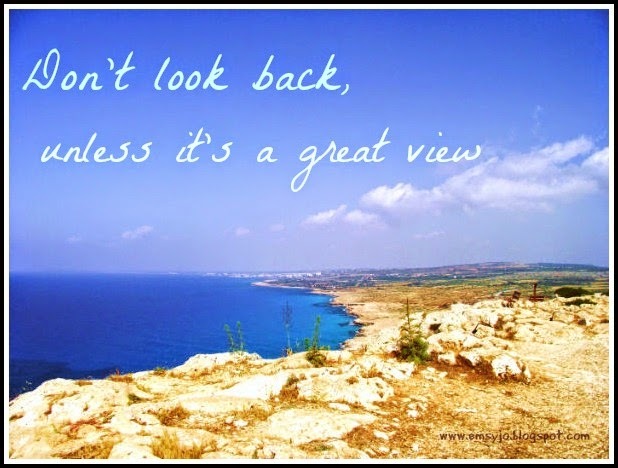 Back in September 2009 I started my blog on a whim with my first post 'Do you want to move to Cyprus?' and a few more surprisingly short posts following it up, Our first trip to Cyprus 'What if?, and 'Not long to go' I think they were probably so short as I didn't really expect anyone to read them! Another thing then on my ever increasing 'to do' list, I'd love to have a more detailed account of the biggest thing I've ever done, especially why it's still recent (ish) enough to remember it!